Type II diabetes individuals who have taken Actos, or pioglitazone to control blood sugar levels, need to be aware that the Food and Drug Administration has warned that long-term use of Actos is associated with an increased risk of developing bladder cancer. Additionally, Actos has been associated with heart failure, strokes, increased risk in bone fractures in women and liver problems. If you or someone you know have taken Actos and have developed bladder cancer, you may be entitled to compensation. 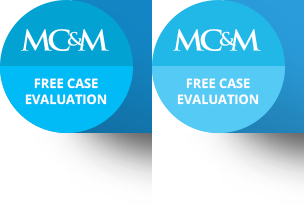 For a free case evaluation on your Actos Claim, fill out the form below. Pioglitazone, a drug that controls blood sugar to combat Type 2 diabetes, has recently come under scrutiny because several studies have found a connection between long-term use of the drug to serious health problems including bladder cancer and congestive heart failure. Using the trade name Actos, this drug has been prescribed to patients all over the United States and Europe. In 2011, the Food and Drug Administration (FDA) took the step of revising the required label on Actos “to include safety information that the use of pioglitazone for more than one year may be associated with an increased risk of bladder cancer.” While there is still no domestic recall issued for Actos, Germany no longer uses Actos for new patients, and in France, there was a recall for Actos. If you think you may have been affected, or if you aren’t sure whether you have a case or not, it is important that you contact the personal injury law offices of Magana, Cathcart & McCarthy immediately to ensure that you protect your rights. If you use or have used Actos, which is also called pioglitazone, it is wise to get familiar with the signs and symptoms of bladder cancer, since the Food and Drug Administration has indicated that Actos could be associated with a higher risk of bladder cancer. Although these are commonly symptoms of bladder cancer, they are also shared symptoms with other issues like infections. Talk to your doctor about these symptoms to determine the right course of treatment.